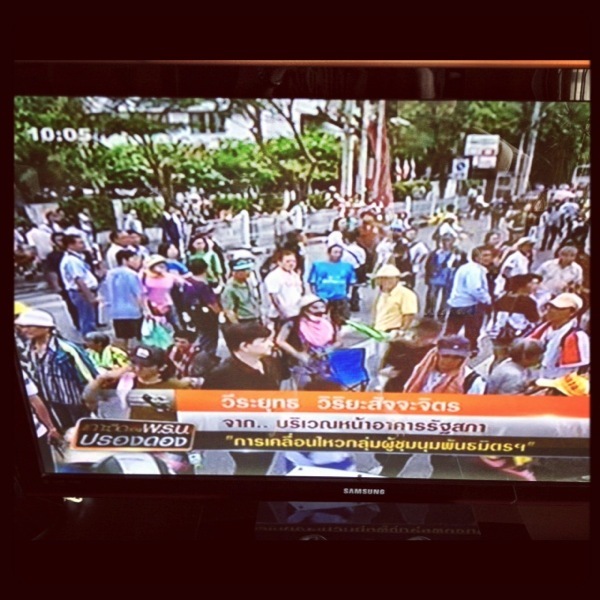 A vote was due to take place today, but the Parliament building was blocked this morning — and apparently continues to be blocked — by members of the PAD (yellow shirts) and the so-called multi-colored group. 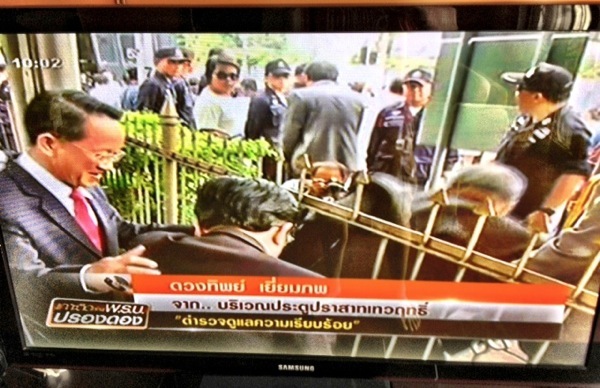 The demonstrators’ intention is to stop a vote by preventing the ruling Pheu Thai lawmakers from entering the compound. It’s unclear when the vote will now occur. 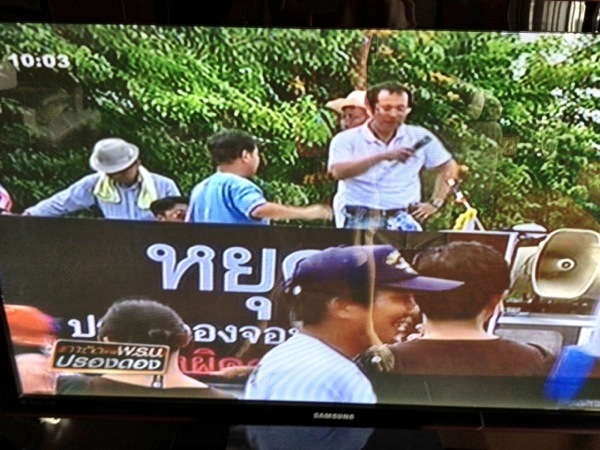 Here are some photos I snapped from Thai TV a few hours ago. You can follow me on Twitter for more.